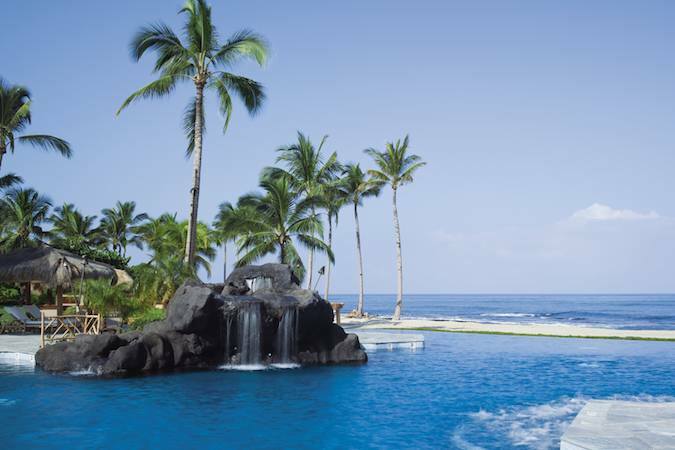 No wonder it’s one of the world’s top honeymoon destinations – the otherworldly charm of Hawaii is pretty hard to resist. 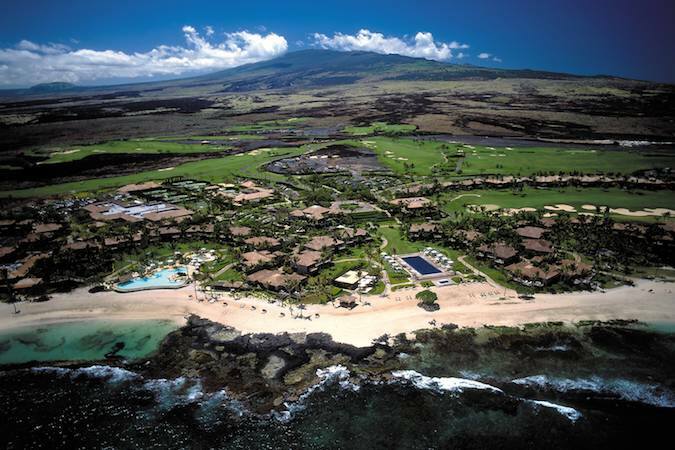 The stunning islands of Hawaii were practically created with romance in mind. 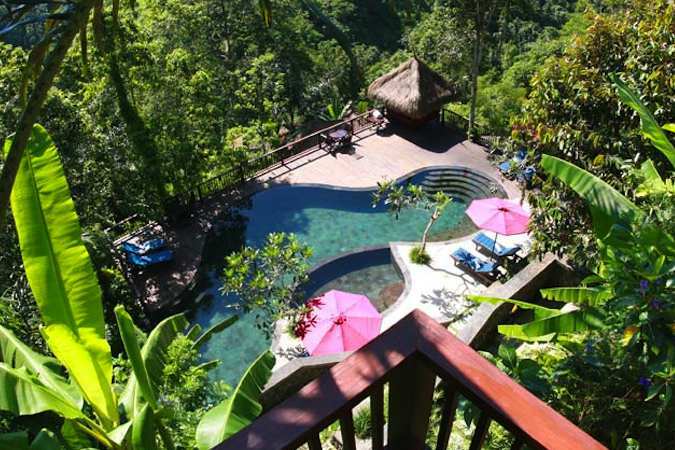 In just one day, you can experience once-in-a-lifetime thrills (visiting a still-active volcano; hiking through the rainforest; surfing some of the world’s biggest waves) as well as out-of-this-world luxury (swimming in a waterfall; discovering a hidden cove; enjoying a coconut body scrub in the shade of an actual coconut tree). Set in the heart of the Kona province on the ‘big island’, the five star Hualalai Spa at Four Seasons distils this entire experience into an extraordinary list of spa treatments which are available 12 hours a day in the privacy of your room, in an outdoor ‘hale’ (treatment room), by the poolside or on the resort’s own private beach. Taking inspiration from the natural beauty of the islands, signature treatments include ingredients such as hibiscus flower, lava stones, and black salt. 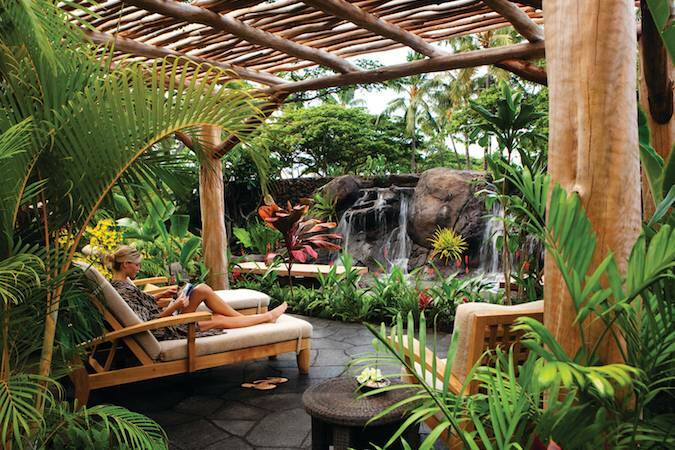 All of which are available to smell, feel and taste at the on-site apothecary, where Hawaiian therapists will explain the rich history of wellness and relaxation on these magical islands. 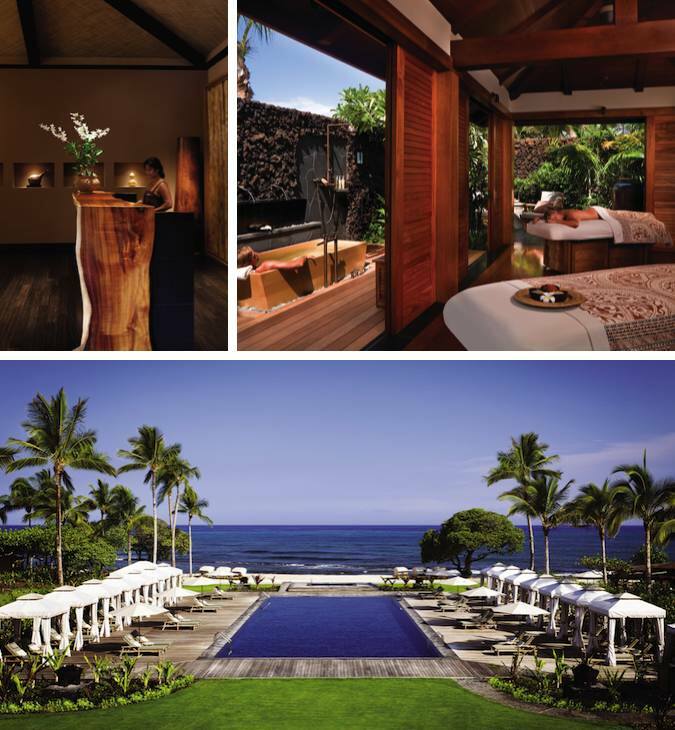 The Hualalai Spa is particularly famous for its signature ‘Lomi Lomi’ massage – a traditional Hawaiian technique which has been passed down to a select few by the local kupuna (elders). This full body treatment is said to have healing powers, and can aid digestion, anxiety and general wellness, as well as leaving you feeling energised and relaxed – the perfect start to your Hawaiian stay. After a long day spent lying on the beach and swimming in the bright blue waters, treat yourself to a Coffee Mocha Scrub, which combines coffee-infused salt, cacao nibs, dried hibiscus flowers and cocoa butter to give your skin a radiant new glow. If you’ve managed to spend a little too long in the sunshine, try the Sun Relief Ti Leaf Wrap, which soothes sunburn using aloe vera and green tea extract. Or simply book the couple’s hale for a few hours and spend some precious time with your better half in your own private garden, complete with dual outdoor showers and a Japanese cedar soaking tub. 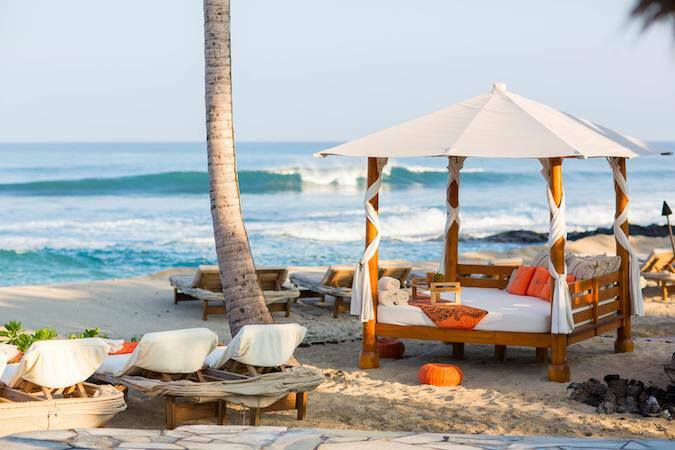 With the sounds of the sea in the distance, the balmy heat of the Pacific sun, and the promise of a beachside luau later on, you will never want to leave this perfect paradise spa.